Stop wasting time searching for the right legal form. Our extensive legal form library has thousands of up-to-date forms compliant with Massachusetts law. Let our automated forms fill-in-the-blanks for you. 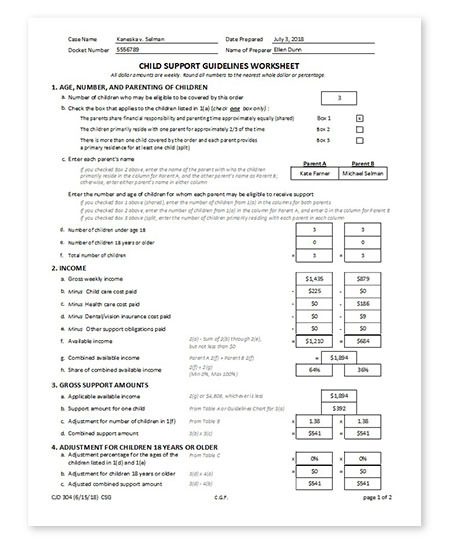 The Child Support Guidelines Worksheet is used to assess the financial status of the parents whether separated, divorced or never married, to calculate the parents’ respective child support obligations, and specifically, the child support obligation of the non-custodial parent.